Maasai widows have difficult lives. Our collaboration with the Global Fund for Widows (GFW) is an important avenue for finding ways to improve income opportunities for women, especially widows. It’s one example of the ways we continually seek opportunities for the people to earn a better income. This applies to all, especially to rural women whose opportunities are particularly limited. The needs we address are profound. The ICSEE stove conserves wood, decreases menial labor demands, and improves health. Right from the onset, the Project focused on ways for women to improve their earning opportunities. Women became chimney builders and stove and solar installers when we embarked on the stove and solar work. They developed construction, electrical, and management skills. Currently in full swing, widows in each of three villages are in the process of purchasing 75 goats for their herds. This is funded through a newly-created village banking system. Through stories we’ve been sharing for the last few years, it may seem routine for Maasai to invest in livestock, but, in fact, for women it is very special. 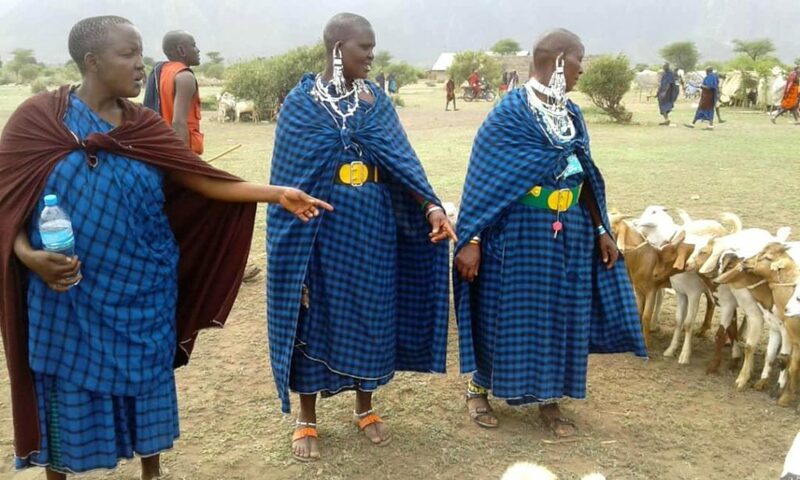 It has been a man’s business up until now–including cattle and goats.While Maasai women might own a few goats, to be actively entering the goat business, investing and managing, and then selling and re-investing is something very new. 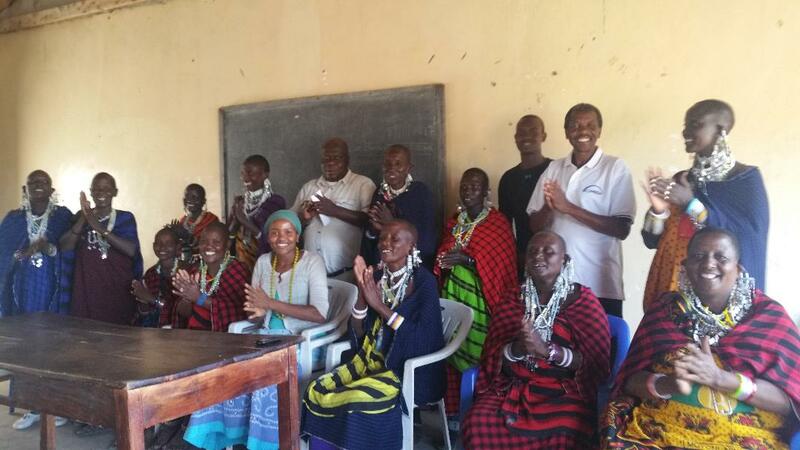 This groundbreaking work is one of the most exciting aspects of our collaboration with the Global Fund for Widows.We’ve developed a program that gives women in remote Maasai villages ways to earn money, not only for immediate needs, but for investment for the future. What started out as an idea, developed in cooperation with GFW Executive Director Heather Ibrahim-Leathers, is now taking off in goat businesses. These are owned by groups of 25 widows in each of three locations. All invest, and then make loans to members. The grant money from the GFW covered a portion of the costs to organize, build goat corrals, and bring the bank balances to the level where each of the groups could start a goat business large enough to make a real impact on their lives. When the goats are sold in six months, each group should have a significant profit. The women are already experiencing wonderful new social and business interactions. They are working together in new ways, enjoying getting organized, and looking forward to profits that will benefit themselves and their families, while supporting future investment.